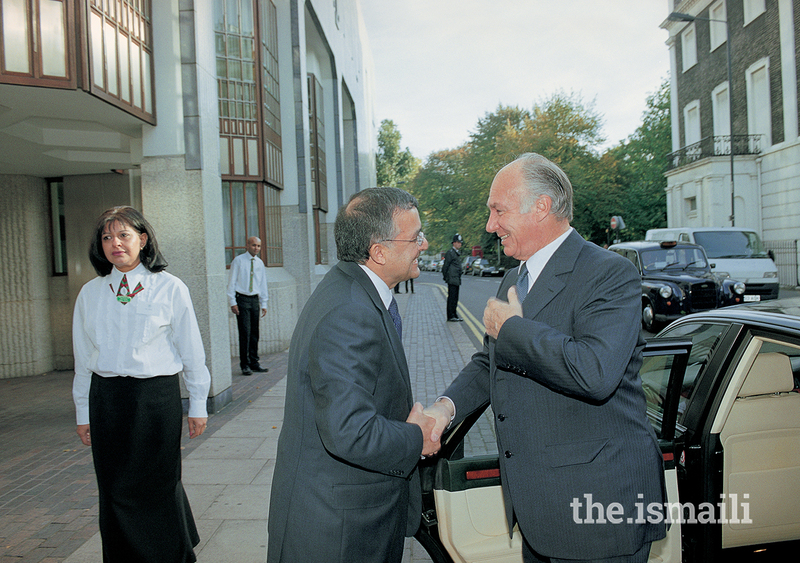 At the Foundation Ceremony of the London Ismaili Centre, Mawlana Hazar Imam welcomes Lord Soames, Lord President of the Council in U.K., and last interim Governor of Rhodesia (left), 6 September 1979. 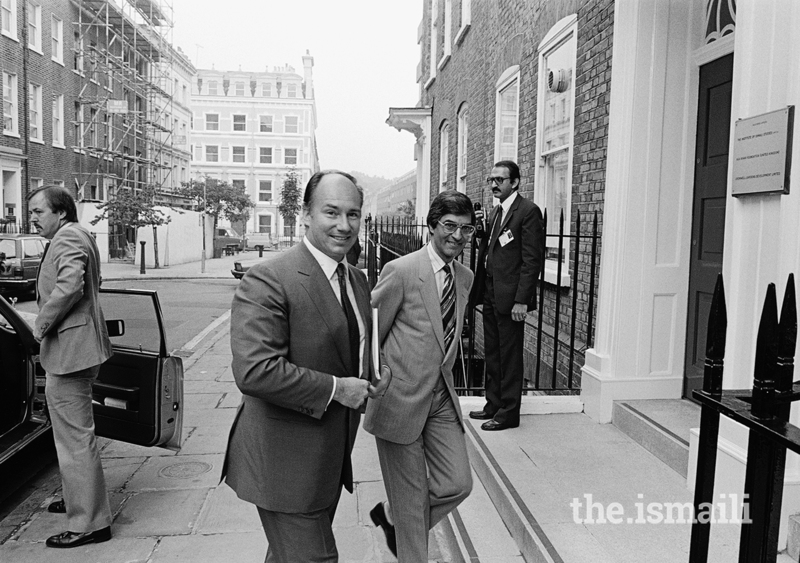 Mawlana Hazar Imam arriving at the Institute of Ismaili Studies (IIS) in London, July 1983. Following the presentation of the diplomas, Mawlana Hazar Imam addresses the new graduates at the University of London Institute of education. 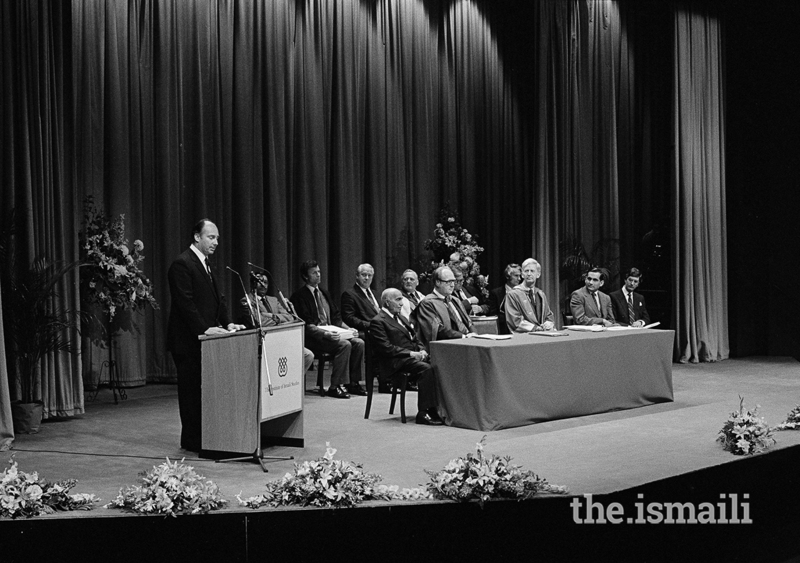 Seated at the front table with members of the Board of Governors of the Institute of Ismaili Studies (behind) are Mr. Dennis Lawson, Director of the Institute (left) and Mr. William Taylor, Principal of the University of London (right), July 1983. 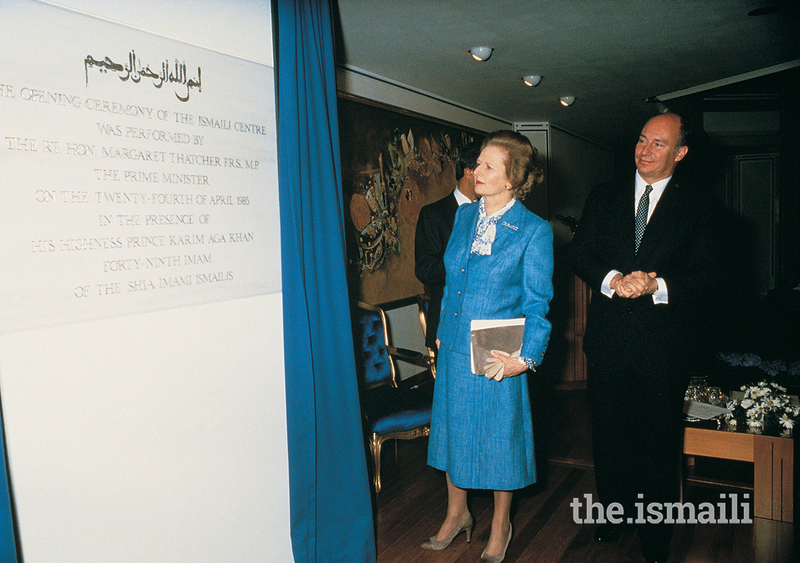 Mawlana Hazar Imam with British Prime Minister, Mrs. Margaret Thatcher, unveiling the plaque at the opening ceremony of the London Ismaili Centre on 24 April 24 1985. 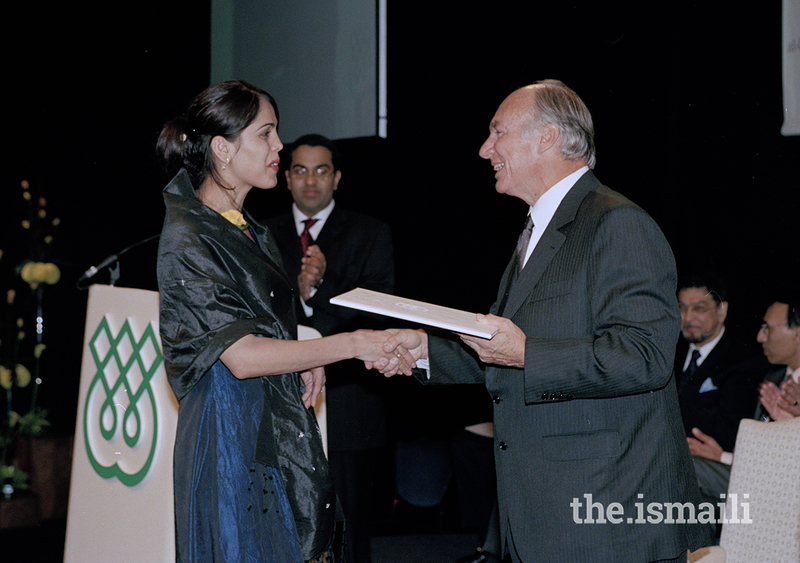 Mawlana Hazar Imam presenting certificates to the Class of 2004 of the Graduate Programme in Islamic Studies and Humanities - 25th Anniversary of the Institute of Ismaili Studies, London, 19 October 2003. 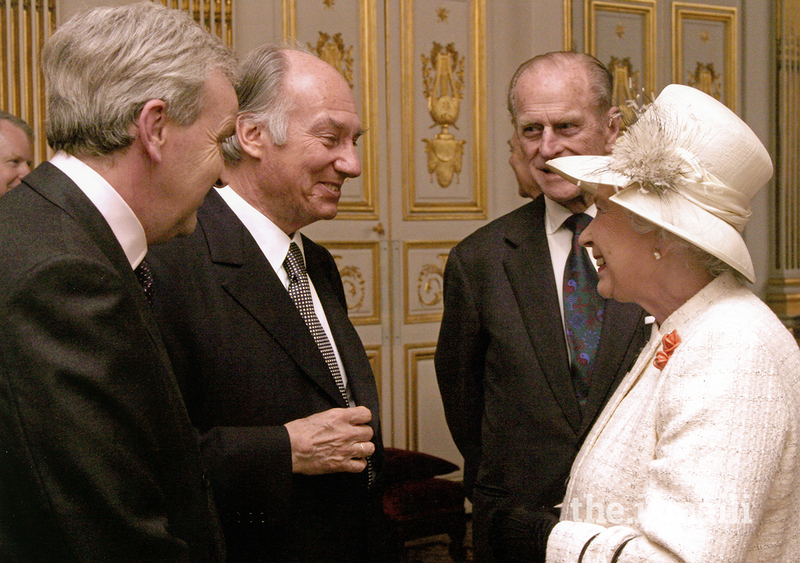 Mawlana Hazar Imam being invested "Knight Commander of the British Empire" (KBE) by Queen Elizabeth II on 5 April 2004. Duke Edinburgh is overlooking. 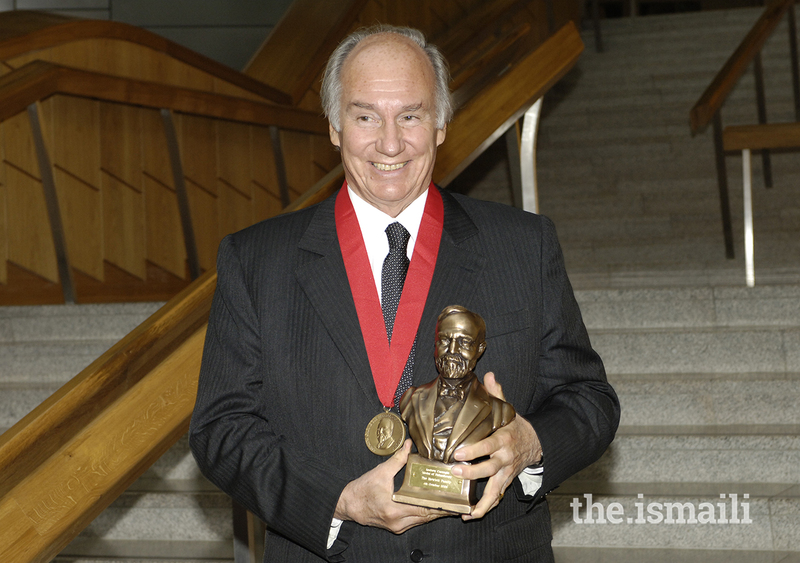 Mawlana Hazar Imam, one of the six recipients of the 2005 Andrew Carnegie Medal of Philanthropy, Edinburgh, 4 October 2005. 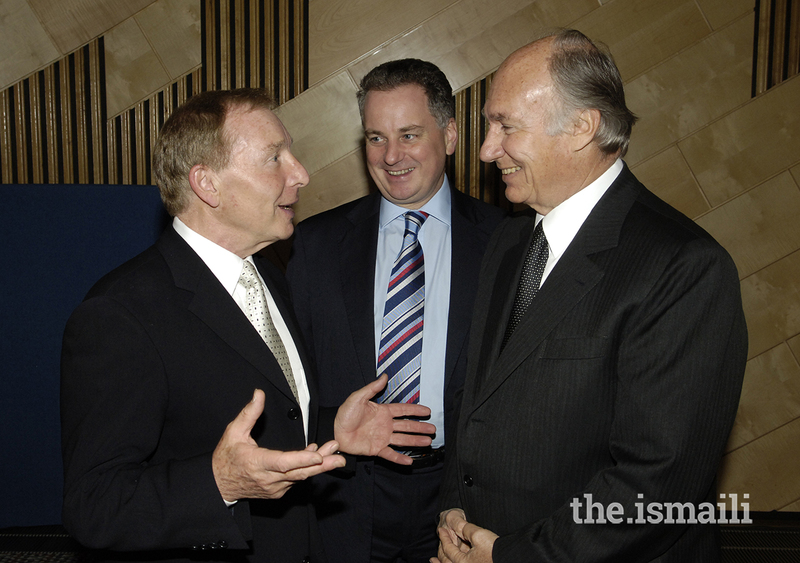 Mawlana Hazar Imam, Sir Tom Farmer, Scottish recipient (left) and the Rt. Hon. Jack McConnell, First Minister of Scotland (centre) hold discussions before the Award Ceremony, Edinburgh, 4 October 2005. 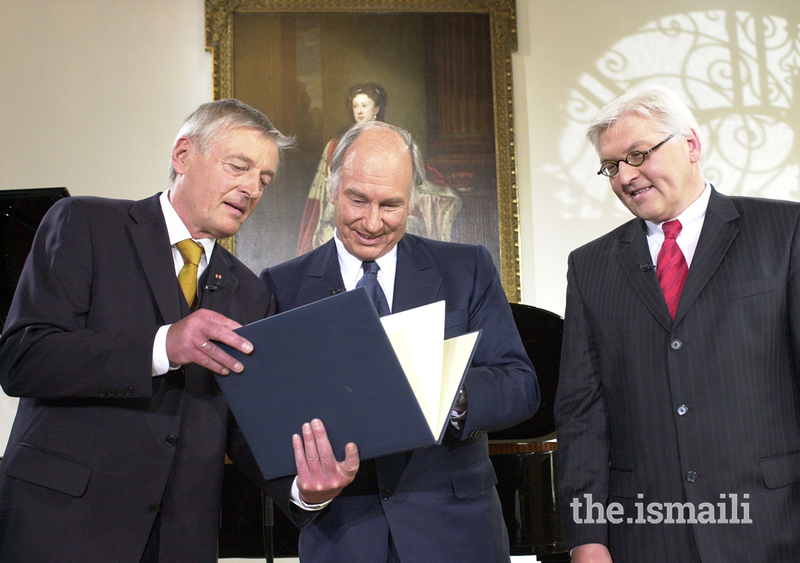 Dr. Friedemann Greiner, Director and Chairman of the Jury (left), presenting the Tolerance Award 2006 to Mawlana Hazar Imam as Dr Frank-Walter Steinmeier, Germany's Minister of Foreign Affairs (right), looks on. Tutzing, Germany, 20 May 2006. 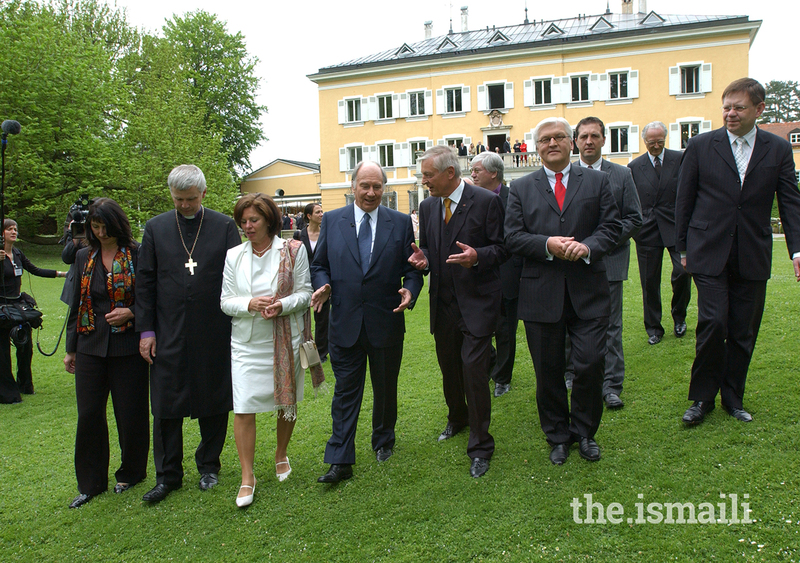 Mawlana Hazar Imam, Dr Greiner, Director of the Evangelical Academy of Tutzing, and Dr Frank-Walter Steinmeier, German Minister for Foreign Affairs, in discussion as they walk in the grounds of the Academy following the ceremony. Tutzing, Germany, 20 May 2006. 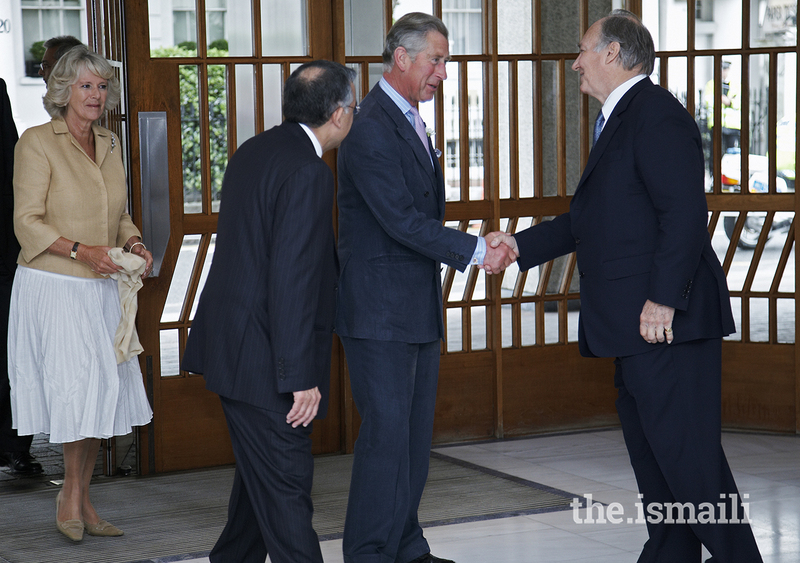 Mawlana Hazar Imam greeting Their Royal Highnesses the Duchess of Cornwall and the Prince of Wales at the Ismaili Centre, London, 12 July 2007. 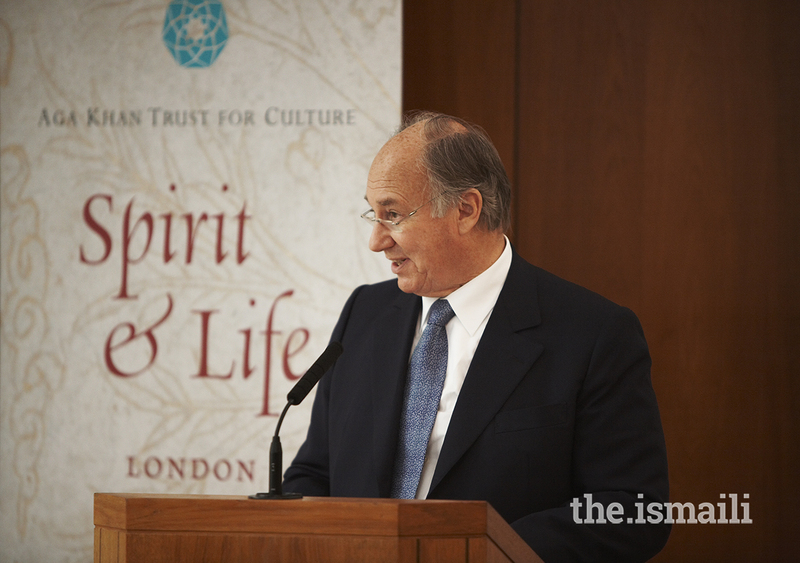 Mawlana Hazar Imam speaking at the inauguration of the Spirit & Life Exhibition, London, 12 July 2007. 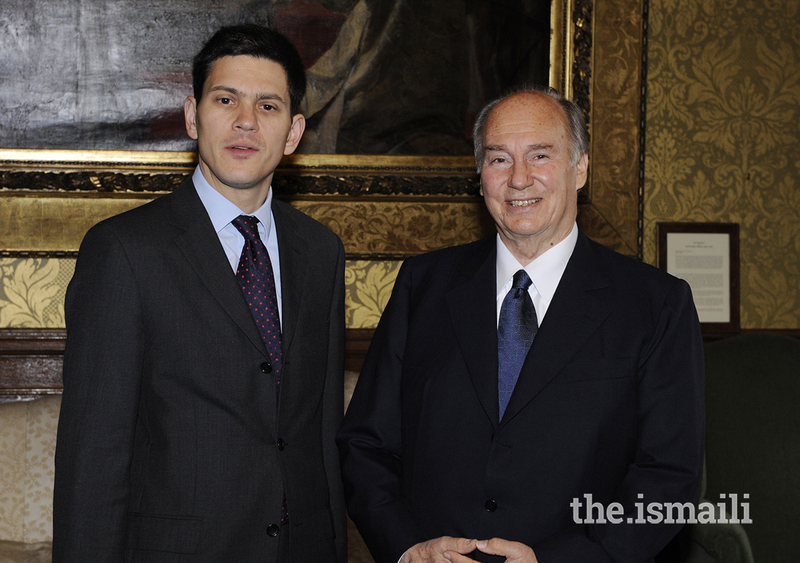 Mawlana Hazar Imam meets with British Foreign Secretary, The Rt Honourable David Miliband, London, 3 July 2008. 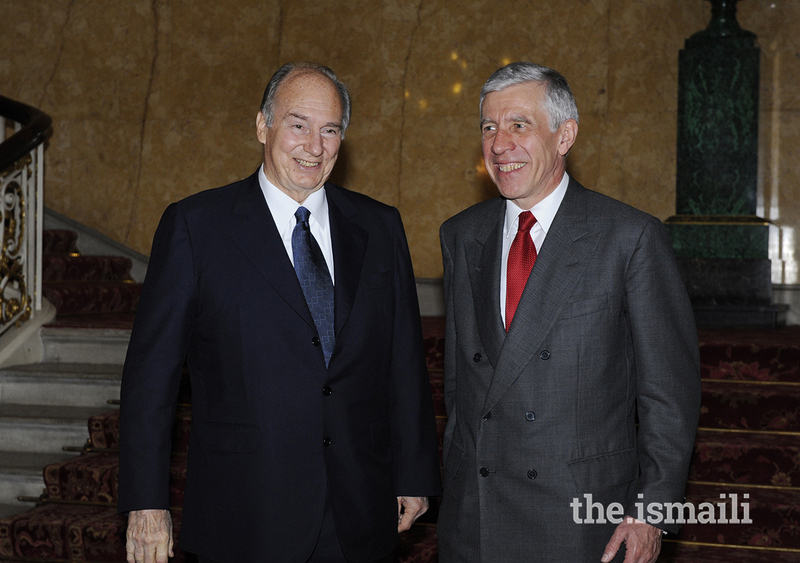 Mawlana Hazar Imam meets with the Secretary of State for Justice, The Lord Chancellor, The Rt Honourable Jack Straw, London, 3 July 2008. 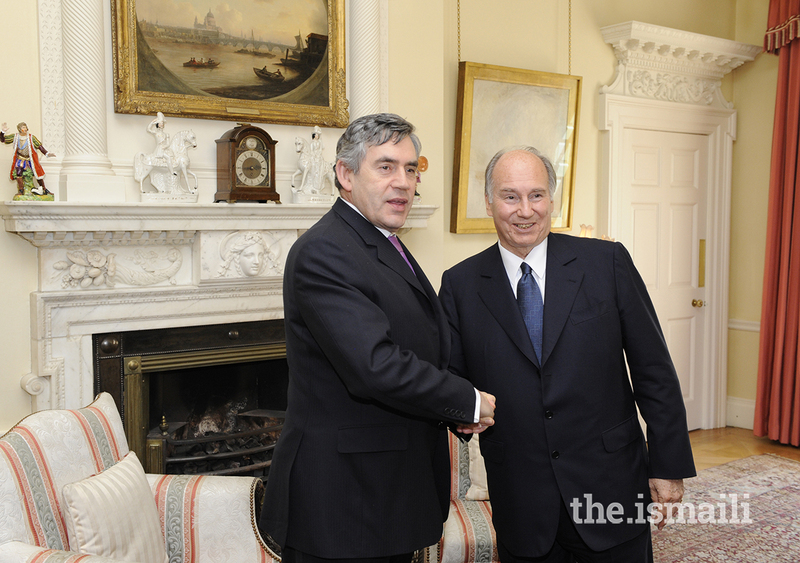 Mawlana Hazar Imam meets with British Prime Minister, The Rt Honourable Gordon Brown, at 10 Downing Street, London, 3 July 2008. 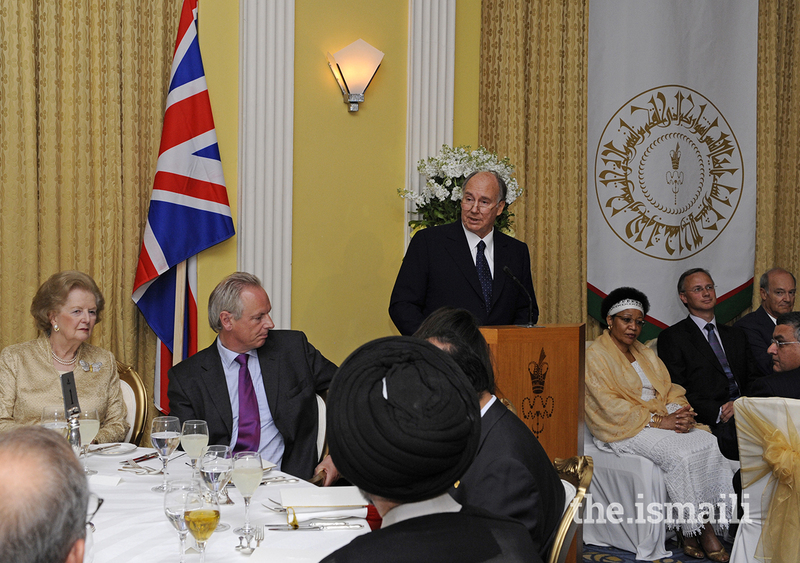 Mawlana Hazar Imam addressing guests at the dinner he hosted for diplomats and senior government officials as well political and civil society leaders from across the United Kingdom, London, 3 July 2008. 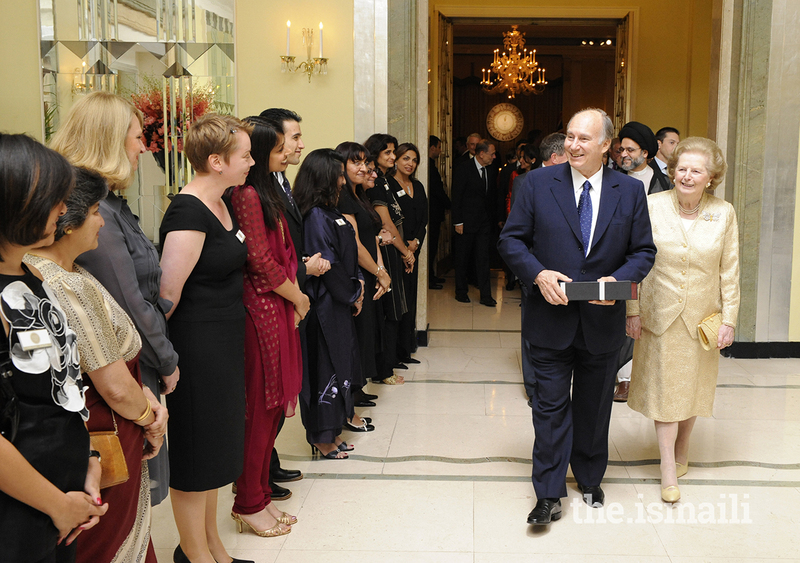 Flanked by Baroness Margaret Thatcher, former British Prime Minister, Mawlana Hazar Imam bids farewell to volunteers after the Imamat Dinner, London, 3 July 2008. 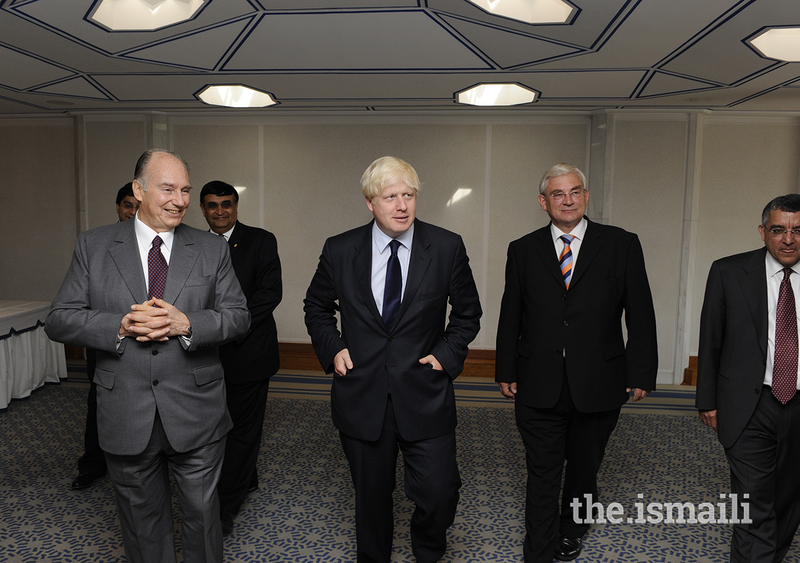 Mawlana Hazar Imam with Mayor of London Mayor Boris Johnson at the Ismaili Centre in London, 4 July 2008. Volunteers outside the ExCel Centre, where the Darbar is held, London, 5 July 2008. 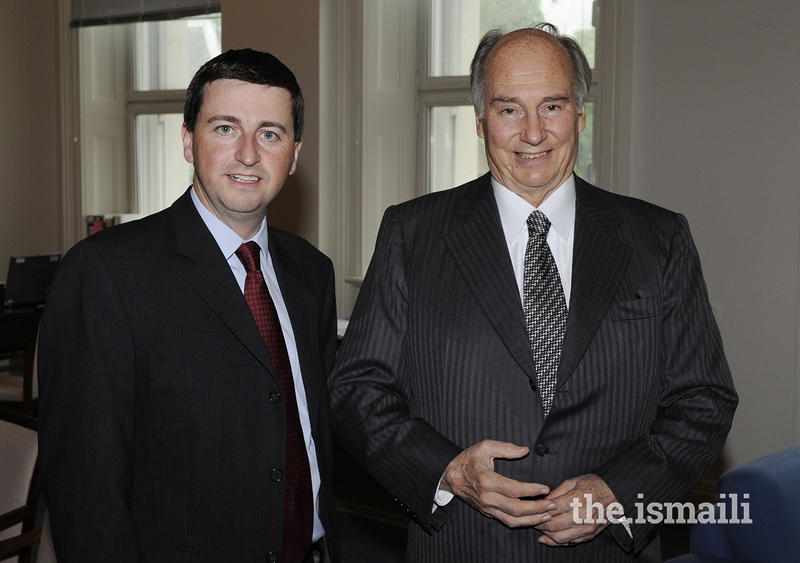 Mawlana Hazar Imam with the Rt Honourable Douglas Alexander, Secretary of State for International Development at the United Kingdom Department for International Development, London, 7 July 2008. 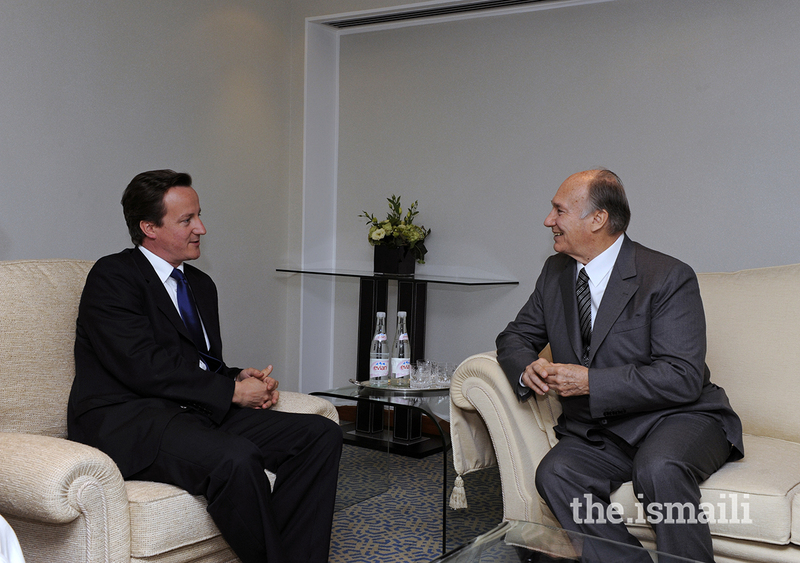 The Rt Hon David Cameron, Leader of the Opposition, with Mawlana Hazar Imam at The Ismaili Centre, London, 7 July 2008. 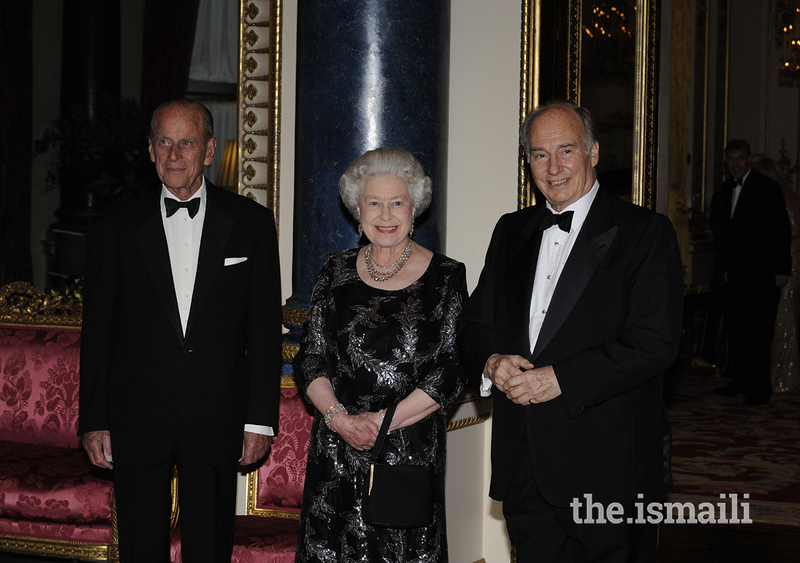 Mawlana Hazar Imam together with Her Majesty the Queen and His Royal Highness The Duke of Edinburgh, Prince Philip, during a dinner hosted in honour of Mawlana Hazar Imam at Buckingham Palace to commemorate his Golden Jubilee, London, 7 July 2008. 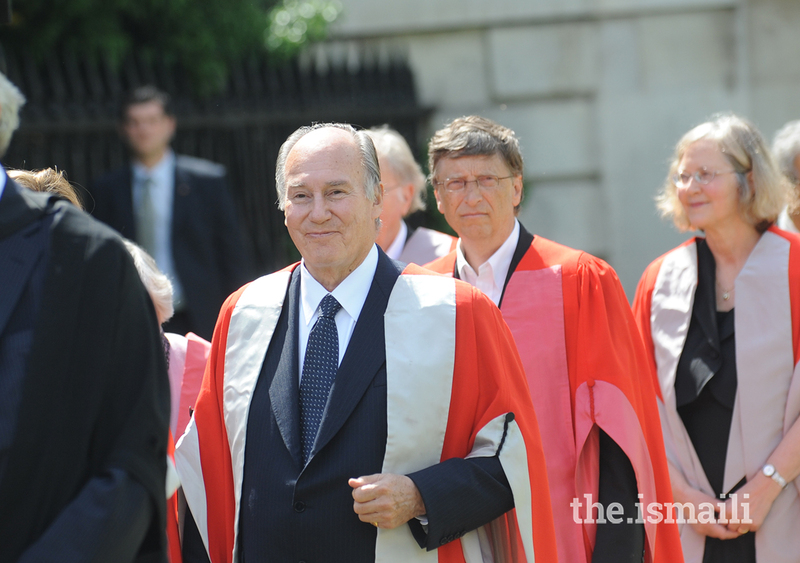 Mawlana Hazar Imam, Bill Gates and other Honorary Degree recipients processing into Senate House for the Degree ceremony - at Cambridge University, Cambridge, 12 June 2009. Mawlana Hazar Imam attends a breakfast meeting hosted by Prime Minister Gordon Brown at 10 Downing Street, ahead of the London Conference on Afghanistan. From L to R : Rangin Dadfar Spanta, Afghan Minister of Foreign Affairs (until January 18, 2010) ; Zalmai Rassoul, Foreign Minister of Afghanistan (since 10 January 2010) ; Miguel Angel Moratinos Cuyaube, Minister of Foreign Affairs, Spain ; Anders Fogh Rasmussen, Secretary General of NATO (North Atlantic Treaty Organization) ; Hillary Clinton, United States Secretary of State ; Ban Ki-moon, United Nations Secretary-General ; Gordon Brown, United Kingdom Prime Minister ; Hamid Karzaï, President of Afghanistan ; Mawlana Hazar Imam ; European Union foreign affairs chief Catherine Ashton ; Kai Eide, United Nations Special Representative to Afghanistan. London, 28 January 2010. 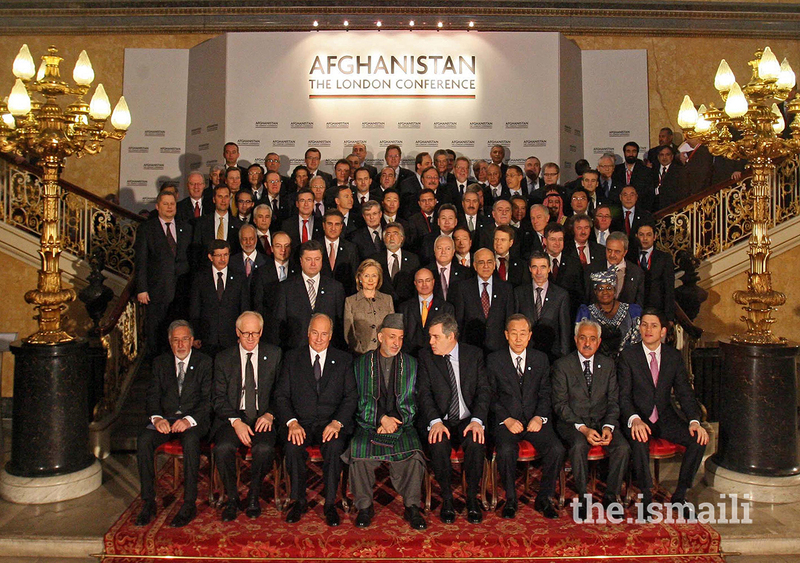 Mawlana Hazar Imam with world leaders at the London Conference on Afghanistan. 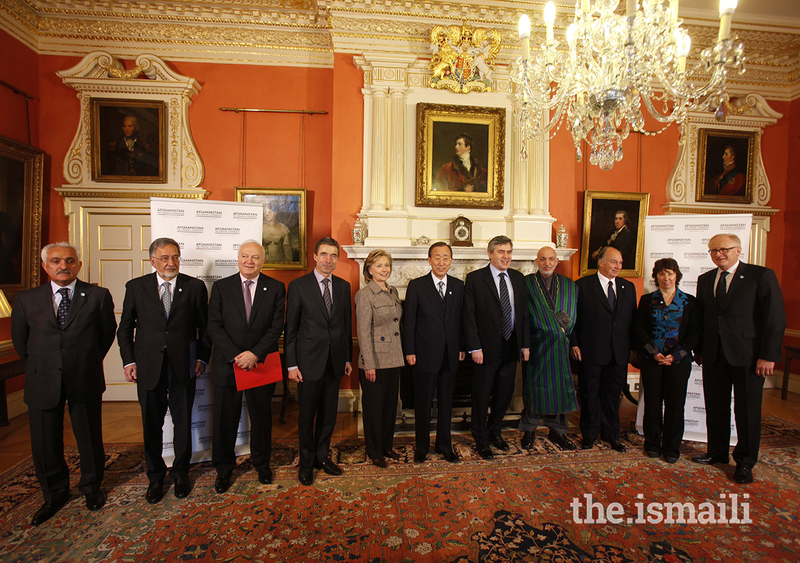 First row, from L to R : Zalmai Rassoul, incoming Afghan Foreign Minister ; Kai Eide, United Nations Special Representative to Afghanistan ; Mawlana Hazar Imam ; Hamid Karzaï, President of Afghanistan ; Gordon Brown, United Kingdom Prime Minister ; Ban Ki-moon, United Nations Secretary-General ; Rangin Dadfar Spanta, incumbent Afghan Foreign Minister ; British Foreign Secretary David Miliband. London, 28 January 2010. 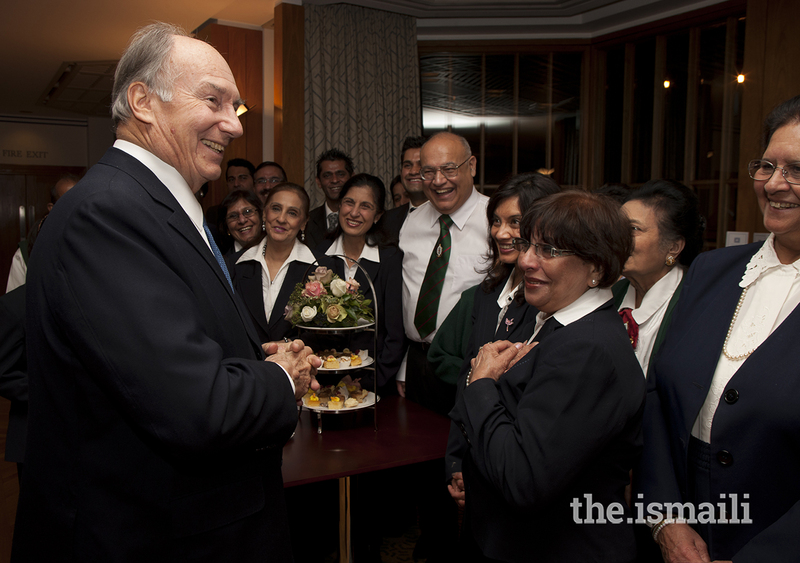 Mawlana Hazar Imam stops to speak with volunteers at a tea party for Prince Charles’ visit commemorating the 25th anniversary of the Ismaili Centre, London, 18 November 2010. 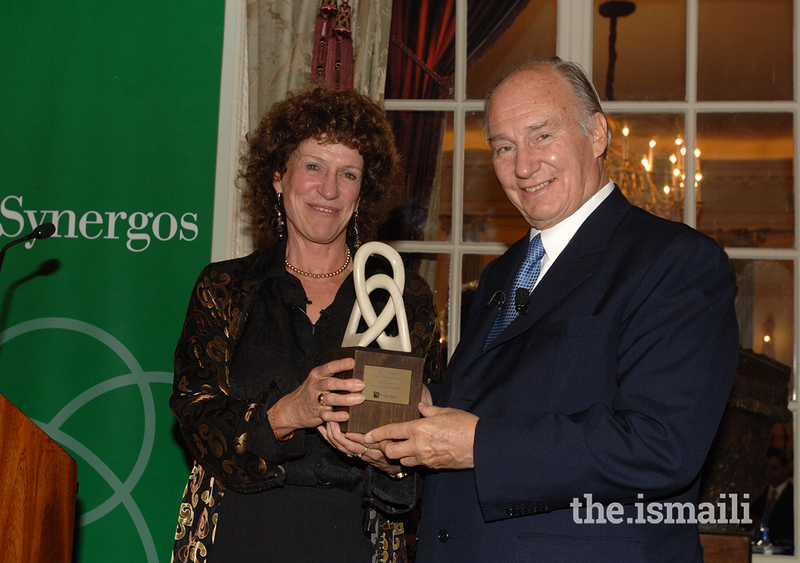 Synergos Founder and Chairperson Peggy Dulany presenting the David Rockefeller Bridging Leadership Award to Mawlana Hazar Imam, London, 22 October 2012. 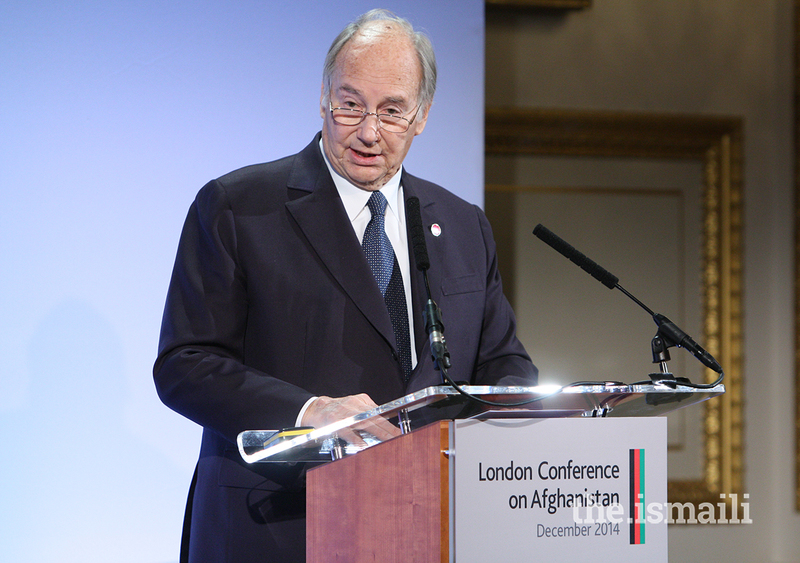 Mawlana Hazar Imam speaking at the 2014 London Conference on Afghanistan, London, 4 December 2014. 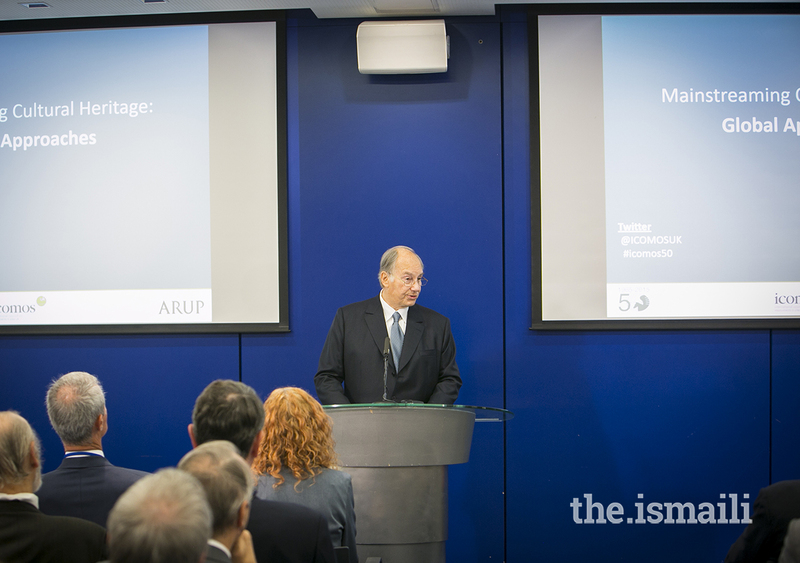 Mawlana Hazar Imam addressing the ICOMOS 50th Anniversary conference, London, 22 October 2015. 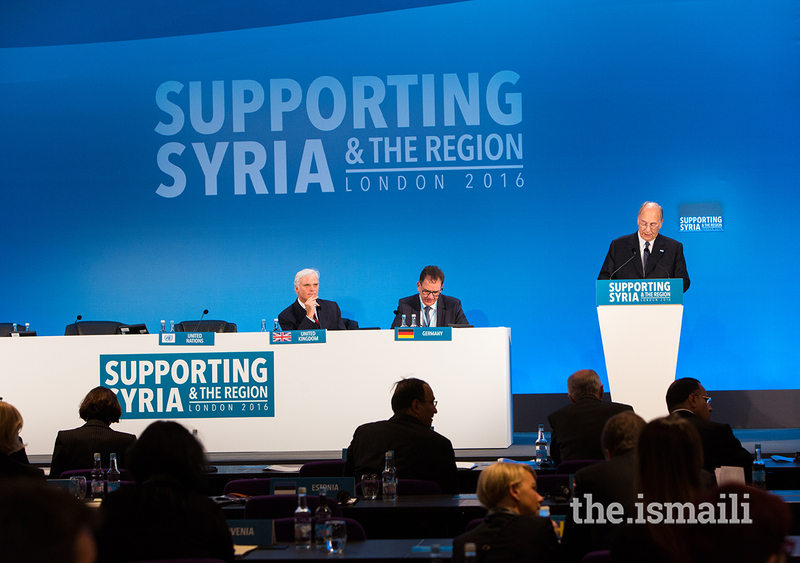 Mawlana Hazar Imam speaking at the Supporting Syria and the Region Conference in London, 4 February 2016. 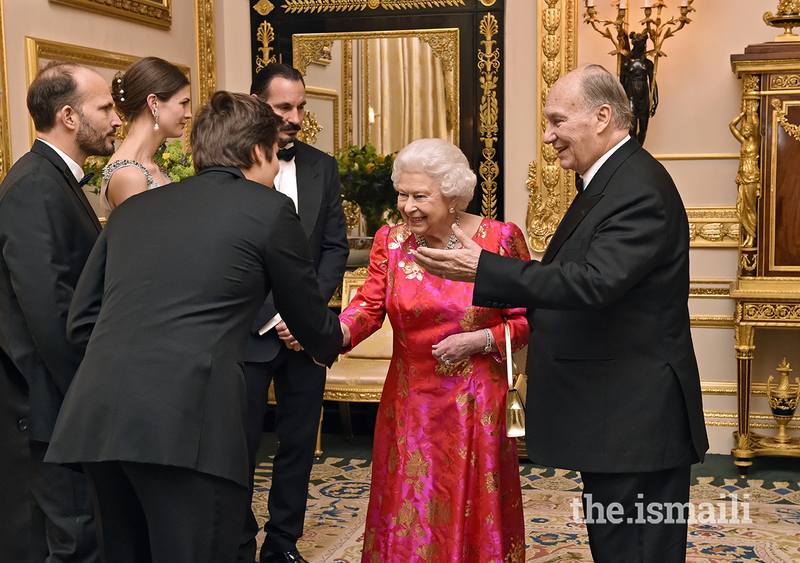 Mawlana Hazar Imam introduces Her Majesty the Queen to members of his family including Prince Rahim, Princess Salwa, Prince Hussain and Prince Aly Muhammad, London, 8 March 2018. 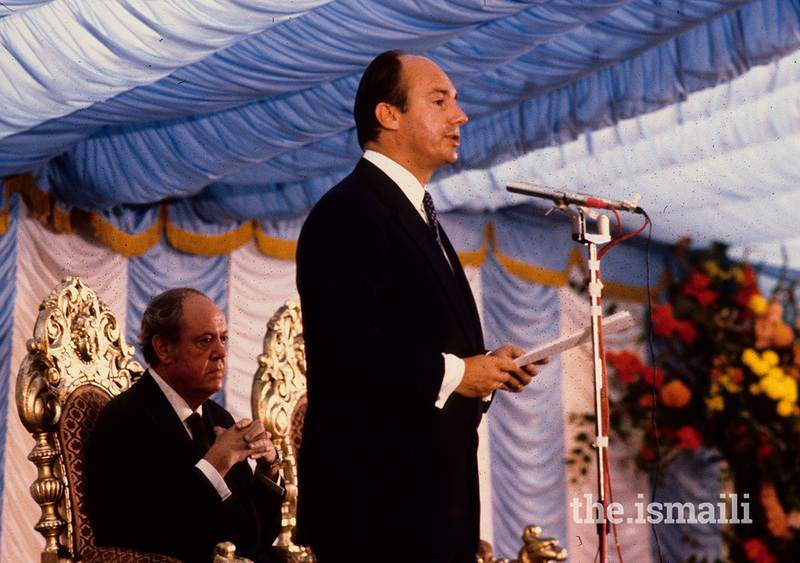 As we prepare for Mawlana Hazar Imam's arrival in the United Kingdom, we look back on previous visits which included Mawlana Hazar Imam meeting with the country's leaders, establishing new projects and institutions, and meeting with the Jamat. 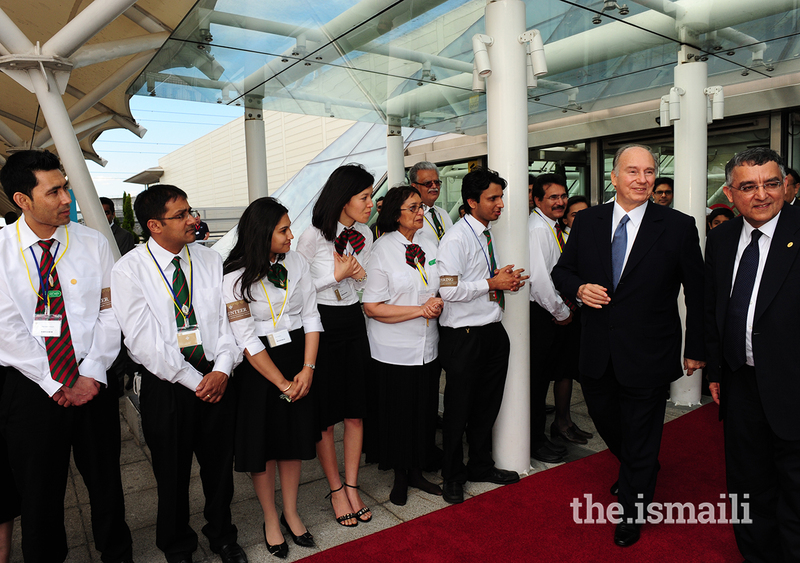 This photo gallery showcases some of his visits over the years.